Jewish Blogmeister: Lev Tahor 5 Coming Soon?! Lev Tahor 5 Coming Soon?! I believe it has been over 5 years since Lev Tahor released Lev Tahor 4. One of the most talented groups in Jewish music is at it again! 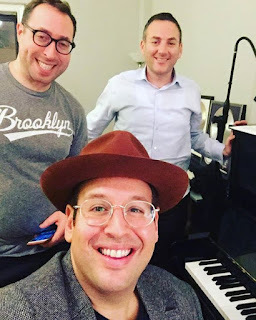 It seems Eli Schwebel and Co. are working on creating yet a 5th masterpiece. When will it release? Stay Tuned!